Onsen means Hot Spring in Japanese so naturally Nozawa Onsen is an Onsen Mecca and has been for hundreds of years. 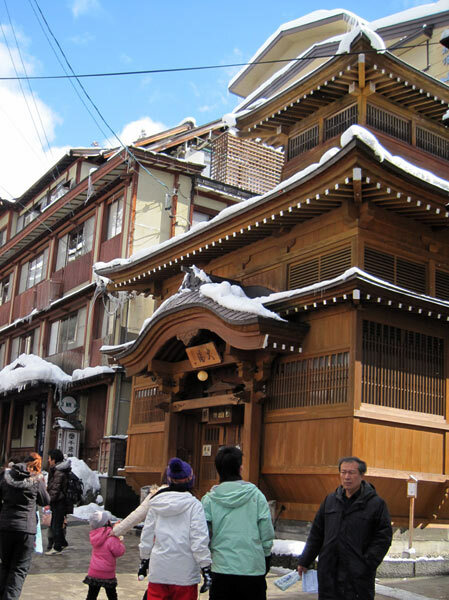 Way before Nozawa became famous for skiing it was a popular place with travelers from Tokyo as a Mountain Onsen Retreat. There are 13 free onsens in Nozawa and various private ones they are all housed in beautiful traditional Japanese buildings. They are scattered all around tow. Some are surrounding the Lodges and we suggest you take advantage of them. It’s a great way to experience the local culture and makes you feel terrific, with the natural minerals it is perfect after a day on the slopes. Soothing away those aches and pains, and will help you bounce back the next day! 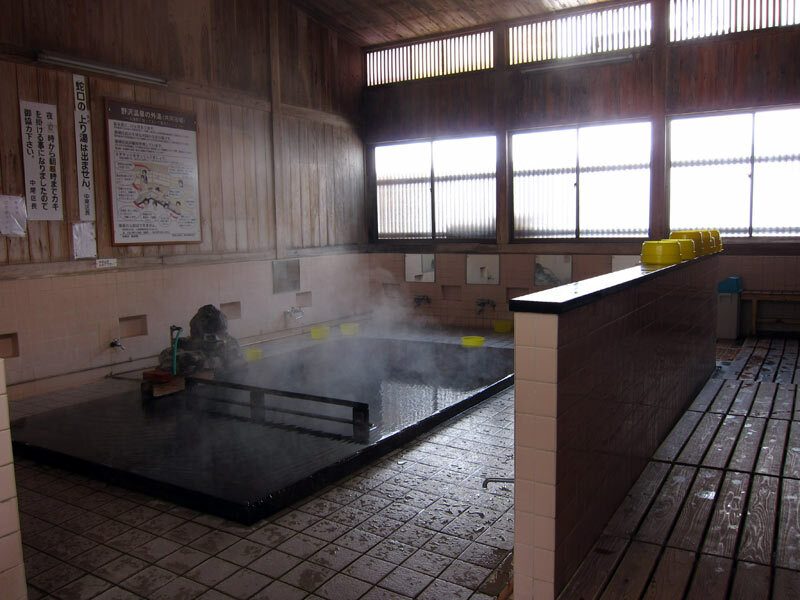 The local people pay for the running of the onsens and clean them themselves, so it is important that you follow the local manners when indulging. They will be happy to see you. Basically if you follow the locals you will be fine, but just incase here are some guidelines to help you make the most of this unique experience. 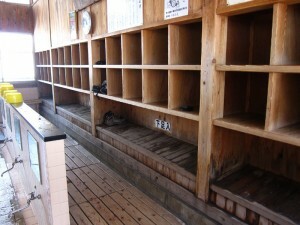 Bring with you; a Towel (small is best), soap and shampoo, onsen basket to look like a local and your modesty. We supply all at the Lodges. Shoes and clothing (all of it) must be taken off and put in the shelves. Important to take shoes off before you step on the raised wooden area after entering and put in the bottom of the lockers. Before getting into the pool you must totally wash your body with soap. Sit at the taps provided around the walls wash all soap off before entering – you can pull the water out of the spring with the buckets supplied. Ease yourself in and relax. You may find it hot at first. If no one is about you can add some cold water or ask if it’s ok if you can mix the hot water with the cold while washing too. Use a small towel to wipe yourself fairly dry before stepping on the wood, also handy if you are a little modest. No drinking or eating allowed in the onsens but come back to the Lodge or to a local restaurant for a beer before or after – there is nothing better. We will provide you with an Onsen Kit if you like and can show you were all the onsens are located – you may want to try a different one every night.